I hope everyone had a wonderful New Year’s Celebration. 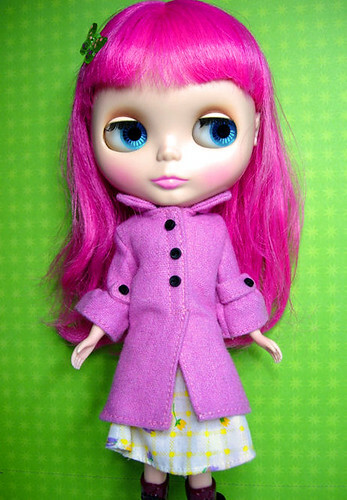 Here’s a Blythe of the day. She’s Ichigo Heaven and she’s modeling in front of some nice paper that my husband got me for Christmas. He also ordered Lati Lea so I’m anxiously awaiting her arrival which will probably be sometime this month. On the doll projects I finished a cool commission I really like. 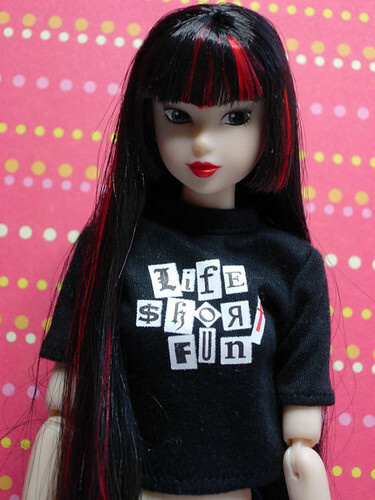 The customer asked for Snow White momoko to be re-rooted with a princess hair cut and red streaks in black hair. Here are the results. She’s also modeling in front of the papers hubby got me. May your 2008 be great and prosperous and full of happiness and peace.